Adsense Ad Place is the most important part for a Blogger or Website owner. When we use Add in our Blog or Website we want target point of view. Home page and post area are most common for it.You can see many blogger use Adsense Add in Home page after first post and before second one.Follow me now for manually inserting Adsense Ad in the middle of first two post in Blogger is pretty simple. Step 1: First thing we need to do encode Adsense Ad code. 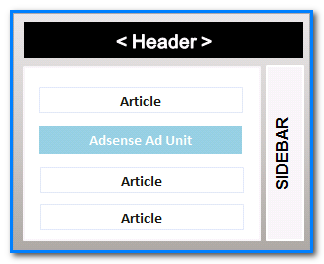 For encoding you click Adsense Ad encoder. Then you encode your Ad code. Step 2: Now Log into Blogger . Click on Drop down Menu and Select Template. Backup You Template Before Making Any Changes to Your Blog. Now Click On Edit HTML. Then Click into the HTML area and Press Ctrl+F. Now Find The Code Shown Bellow. Step 3: When You find the code Then Paste bellow code just after it. Step 4: Now You should change your Adsense Code With Green word Which you encoded . Step 5: Now click On Save Template and you are done. Now you can visit your site and you also look change when you into your home page or label page you can see your ad in the middle of first two post which you setup now. This is nice post about adsense adds. Hello Rahman, What if I want to add adsense block between second and third posts? My template's layout shows two posts in the same line, so that i would like to place ads between the first-second and the third-fouth posts in all index pages.